CBI Acquisitions, the firm that manages Caneel Bay, has stated that it cannot reopen at this time and will be closed for all of 2018. CBI Acquisitions, the firm that manages Caneel Bay, has stated that it will cost $100 million to rebuild. CBI Acquisitions, the firm that manages Caneel Bay, has stated that it needs Congress to extend its retained use agreement in order for it to reopen. CBI Acquisitions, the firm that manages Caneel Bay, had been renting rooms to first responders and relief workers engaged in recovery efforts following the hurricanes. These rooms were not donated; CBI Acquisitions received compensation for these rooms. 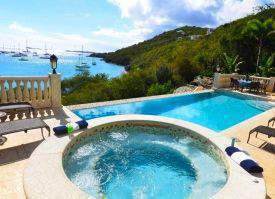 CBI Acquisitions, the firm that manages Caneel Bay, is now renting rooms to the public. 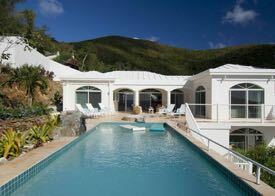 CBI Acquisitions, the firm that manages Caneel Bay, is renting rooms in the “garden area” for $235 a night and up. It is renting “ocean” rooms on Little Caneel beach for $285 a night and up. Guests will have to pay an additional 12.5% occupancy tax, as Caneel does not pay taxes. 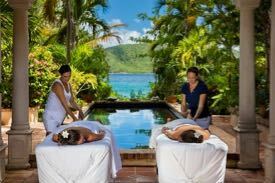 Accommodations are in full working order and maintain the Caneel Bay philosophy, where all rooms are absent of televisions and telephones. Internet access is provided free of charge and cell-phones are serviced by US carriers without roaming charges. Meals and refreshments are currently not offered on the Resort property and additionally there is no guest laundry services or recreational activities of any kind. 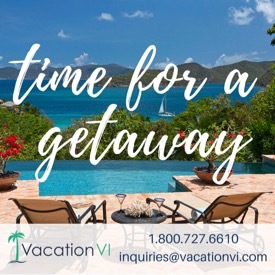 Some areas of the resort are restricted to access and as a condition of any stay, you must agree to waive and release Caneel Bay Resort of any responsibility or liability for any claim regarding your visit. Upon check-in you will be required to sign a waiver and release form. ← Customs Back Open in Cruz Bay! I honestly thought this was a bad joke when I read the headline. This is outrageous. And who would choose to stay at a destroyed resort? Are the beaches open at Caneel Bay? I am wondering the same thing. What is the status of the beaches? Does anyone have an update? I suppose the Act of Congress is needed before the numbers work for them to rebuild the resort to its 1st class condition. (They will want to count on the tax break in the future.) It is probably worthwhile for them to rent out some rooms now. If the beach is safe and the they can keep the rooms clean, renting rooms puts some people back to work in paradise. I don’t think it is fair to judge entities with tax breaks after the fact. Deals are often made to encourage growth and investment. If the government doesn’t think they deserve to keep the tax break, hopefully it won’t be renewed. But it seems to me St. John would benefit from the rebuilding of Caneel, and Caneel would certainly would not be the only entity being subsidized after the disaster. Enjoy the breeze! After all that has been going on with them!!! I agree this is outrageous!! We need to get rid of these scams! I’d love to write a letter to my Congresswoman, Stacey Plaskett, but she’s been bought off!!! Unfortunately the Caneel experience is not staying in one of the rooms, but interacting with the staff. The every day workers are what made Caneel what it was. I don’t think it will ever get back to the “good old days “. 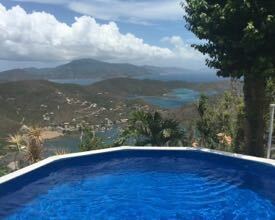 I think spending $100 a night for a room in a destroyed resort with no amenities on St. John is high. So to be charging over $200 a night is ridiculous. Caneel has been accused of not paying property taxes. You can’t pay property taxes on land you down’t own. The Park owns it. Caneel has been derided for laying off workers in the off season. This is very normal for seasonal businesses such as hotels, golf courses, ski resorts, construction companies, etc. No hotel in their right mind would pay to totally rebuild a resort if they felt their lease might end in 2023. Apparently negotiations with the Park stagnated so the issue has been taken to a higher court, so to speak, i.e. a congressional bill that would extend their lease. Totally within their right. If Caneel can’t get an extended lease, they are totally within their legal right to run in a lesser, limited capacity. Looking forward to the day Caneel is awarded it’s lease extension. 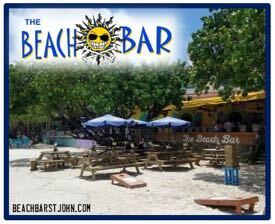 We just returned from St. John, where we had a great stay at Cruz Bay Hotel. 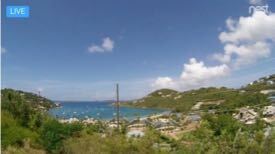 Cruz Bay looked great, and the island is clearly ready to receive guests. It looked like the biggest thing that the island needed was simply more visitors. So if CBI can house people who will eat in the restaurants (which they will have to since no food will be available at Caneel) and shop in the stores, it seems like that will be good for the economy and help keep businesses afloat. 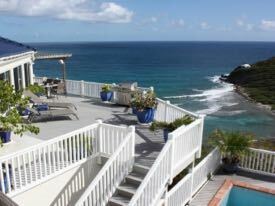 I might do it for 1 or two nights Then I could then honestly say I STAYED at Cannel Bay. I do not have the money to spend a week there at the full rate and would much rather stay at a home rental etc. 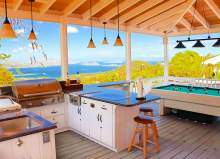 A home rental is less money more comfortable with greater privacy, might even have a private pool. Besides they used to let you stay and use the beach at Caneel for $ 25, refundable if you bought something, so we paid the $25 went to the beach saw the donkeys etc. I bought a Caneel Bay hat, got my $25 back and I am happy to say that we to Caneel Bay. It was a day then and a much different attitude then.. I challenge the Park Service Management to step up to the plate and be responsible for the incredible gift that the Rockefeller family donated. While the present lease is non negotiable how that somehow translates into The National Park negotiating future use and rights to enjoy Caneel Bay for forty or sixty additional years is crazy! Are parts of Accadia National Park in Maine and or Shanendoah National Park in Virginia being rented out for sixty years with similar benefits to corporate intrests? Doubtful. Virgin Islands National Park Superintendent Stephen Black please take control of this most important issue in your Park! 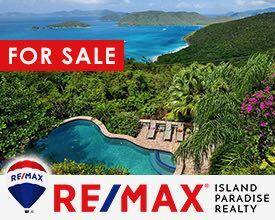 Help us help you by taking a position on the Caneel Bay and how you intend to protect it for us all. Just back from a week on the Rock yesterday. We had an outstanding week with 100% sun —-My two cents here. We go to St John at least once a year. We didn’t think twice about not going this year. 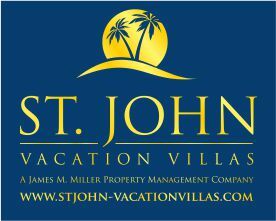 IF you want to support the St John community, rent a villa. Vila owners need and appreciate your business. Don’t waste your money on Caneel!! Exactly ! 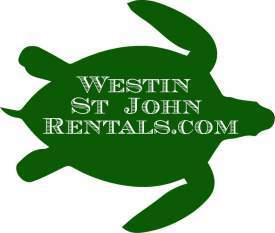 There are many great places to stay on StJ ! Do not give a dime to Caneel. My trip number 21 is tomorrow and I can not wait !! I’m so excited I may bribe the Captain into red lining the Pratt & Whitney’s to get me there faster, lol ! 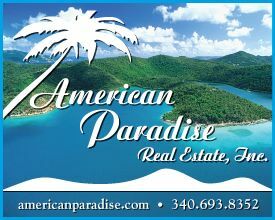 Actually, about 80% of villa owners do not live on island (hence why thier villa is available to rent) so that money does not stay on island. Joe: Disagree. 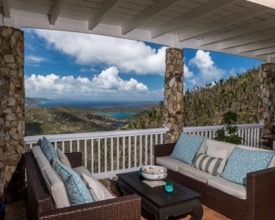 Villa owners pay for upkeep of their homes, pay for the salaries of local house managers, of local maintenance workers, pay taxes, and support the tourist economy by bringing in tourists on the regular. Excited that Caneel is renting rooms to public. Took our week vacation in St. John this past April. Beautiful weather and had a wonderful time. But it seened pretty empty. Would totally take advantage of these lower priced Caneel rooms if they are available in January. Realize the property is severely damaged ( saw it up close) but still missed staying there. it felt sad to drive by Caneel and the place still be shuttered. It’s giving the island a strange feeling. That may keep even enthusiastic tourists like us ( 34 years in a row) from coming back. For some the attitude may be ” who cares if you ever come back” but that feels so against everthing the island is about. The behaviors of the principle leaders at CBI Acquisitions make me wonder. Are they all graduates of the Trump School of Human Kindness and Understanding? What might they do if their mothers were in great need and were suffering? No doubt they would turn an icy shoulder and raise the per night rate threefold!! Hi, Jenn, now that Caneel is renting rooms to the public, do you know if they are going to allow non-guests to use Main Beach Caneel as they have done in the past? Also, if they are opening the resort-even in a limited way–does that mean they have cleared the underwater debris from the beaches? 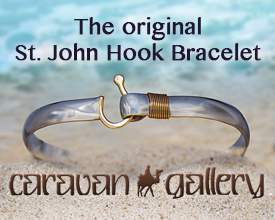 When I was there in March and swam over from Honeymoon there was tons of debris underwater at Main Beach and Hawksnest Caneel–huge pieces of metal roofs, bed frames, beach chairs etc.–that made swimming there both dangerous and unsightly. In any case, Norm and I are thinking of you and Mike and sending our best wishes for a safe and easy delivery and look forward to meeting the new family when we see you next. 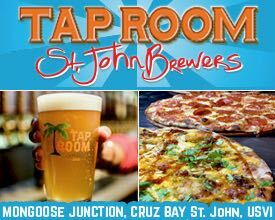 To those who think it’s a “rip-off” then of course plan your St John accommodation elsewhere. To those who often hankered to stay at Caneel but whose budget didn’t stretch that far, take a look and see if what they’re currently offering is appealing. To those who think it has to be illegal, do your research and if you find it to be so then address your concerns to the proper authorities. 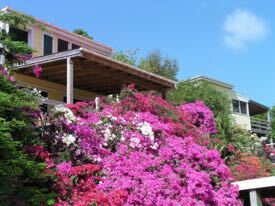 There are numerous people who know and love the Caneel property who will happily embrace the reduced services and pay the reduced price to stay in the spot they see as idyllic. Whatever restrictions there are will, I’m sure, be fully explained prior to booking. It’s all up to a choice. The Court of Public Opinion is the proper authority in this matter, and it will speak volumes regarding the poor stewardship of this property. Plenty of blame to go around. And a lot of people keeping a watchful eye on the nonsense. Aside from relief workers, no one should be offered to stay until deal has been made! It is the law that decides what Caneel can or cannot do. I would not assume this current offer to be a discounted Caneel Bay experience because some things that characterize the place may not be operating. Things such as Caneel’s airport arrival lounge, private ferry, many friendly staff in all areas of resort operation including restaurants and cafe, etc. A visit under these circumstances is barely a shadow of a typical visit. But there are the beautiful beaches! Yes. But as previously noted, storm debris has not been removed from the sea bottom. After fifteen years of Caneel patronage I think it wise to wait for a few more staff and operations to resume. M-m-m … by “no guest laundry services” , do they mean no clean sheets or towels??? This is just a bizarre scenario to me to think that they are basically charging close to $300/night just to access the beaches! Just wonky! 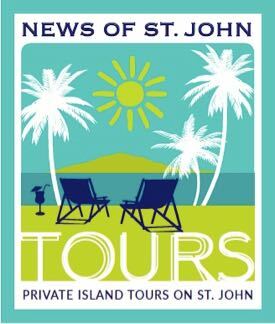 We just returned from our 20th-something trip to beautiful St. John, and I’m happy to report that St. John is open for business! We were able to enjoy everything we’ve always done on our trips (except eat at ZoZo’s). 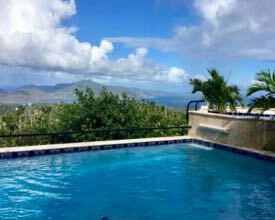 We rented a villa, snorkeled a lot and toured the entire island. The hard work, persistence and determination of the St. Johnians is evident everywhere on the island except the Caneel Bay resort and Cinnamon Bay. I was angered by the fact that it looks as if not even a broken branch has been removed at either location. An incredible amount of construction activity was evident at the Westin and elsewhere–but nothing at all at Caneel or Cinnamon. In my opinion, the US National Park Service needs to step in and require that restoration work commence immediately! If the concession agreement at Caneel is not long enough to warrant the cost to rebuild, in their opinion, then open the contract up for bidding and find out if there is another entity willing to step in. I can’t imagine anyone paying to stay at the damaged Caneel Bay resort at this time. The grounds aren’t being watered and are brown the donkeys have moved into town. But do go to Honeymoon beach–it’s open and beautiful!